You have a statutory duty to protect your staff and anyone who uses your building whether it is an office, school, shop, commercial building or factory. Fire extinguisher training for your employees comprises many aspects of fire safety and is a legal requirement, since correct training could save lives. The cost of training your staff far outweighs the problems that may result should a fire engulf your premises. 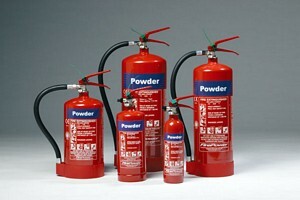 Anyone who serves in your workplace will benefit from fire extinguisher training. Give us a Call to discuss how we can help you. Call ETC for practical sessions that your employees will enjoy coming to and learning life saving information from. We can also carry out the risk assessment for you to ensure that you comply with legal regulations and give you advice in your purchase of the correct fire extinguishers required for each area of your building. We offer fun and informative fire training for your business so that your employees and those who use your buildings will be safe in a fire situation. A training session could involve participation in a controlled fire - if there is a safe place to do so. However this is not necessary as fire extinguishers can be demonstrated for practice only. Understanding of the means to extinguish a fire. ETC Fire extinguisher training Haywards Heath areas - Helping you protect your buildings, your employees and your business.